“A little penny from the science class” and everyone’s favorite puppet from the ’90s is now the head coach of Memphis, entering his first year replacing Tubby Smith. “Penny” was the third overall pick in the 1993 NBA draft and has never been a college (or NBA) head coach. Hardaway has been a high school coach since 2015 and has already brought in some of the nation’s top recruits. In the American Athletic Conference, expectations are suddenly very high and he has a chance to elevate this team and should be better at connecting with the players than Smith was and prior to him Josh Pastner. Memphis last made the NCAA tournament in 2014. Stoudemire is mostly remember for his 8 year run with the Portland Trail Blazers from 1998-2005. He was the 7th overall pick in the 1997 draft, out of Arizona, by the Raptors. In 2011 he was hired as an assistant coach with Memphis, Arizona from 2013-2015, back to Memphis 2015-16 before being named head coach at Pacific. Pacific is not an easy school to win, it’s never easy sharing a conference with Gonzaga and of late, Saint Mary’s. The Tigers went 11-22 in his first year and did improve last year to 14-18 and increase conference wins from 4 to 9. Dixon played his college ball at Maryland and helped lead the Terps to the 2002 National Championship (he won my mom a lot of money in bracket pool). Dixon was a first round NBA pick in 2002 and spent 8 years in the NBA. 2017-18 was his first season at Coppin State, and he went 5-27, and 5-11 in conference play. Coppin State is an in-debt school in the MEAC and oftens overdoses on “buy games” in the non-conference. Dixon inherited a bad and young team and that record shouldn’t reflect on him until we see what kind of progress the team makes in years 2 and 3. Coppin State last made the NCAA tournament in 2008. McCarty is a former first round pick to the NY Knicks in 1996 and spent 11 years in the NBA, mostly with the Celtics. The former Kentucky Wildcat has college coaching experience as an assistant at Louisville from 2007-2010 and has spent time with the Pacers and Celtics, most recently, as an assistant before being hired this past April at Evansville. The Purple Aces went 17-15 last season, so McCarty doesn’t inherit a total mess and with Wichita State long gone from the Missouri Valley Conference, Evansville can build a solid program and make some moves in the coming years. Evansville last made the NCAA tournament in 1999. Marshall played his college ball at UConn in the early 90s and has been the head coach at Central Connecticut since 2016. He was the #4 overall pick in the 1994 NBA draft to Minnesota. 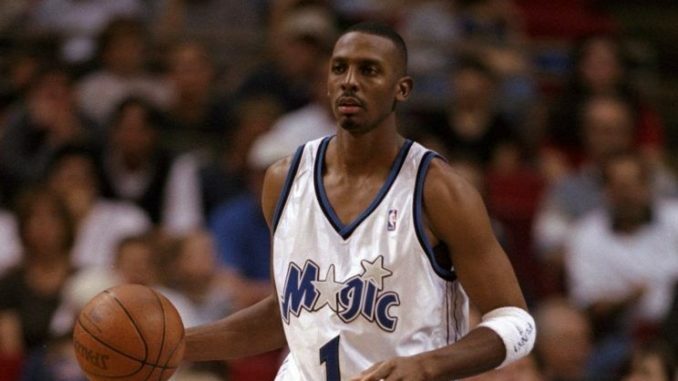 Marshall spent 16 years in the NBA and was always considered a solid role player. Since retiring in 2009, he has jumped right into coaching, working as an assistant coach in the NBA’s G-League for a couple of years and mostly in college with George Washington, Rider, and Buffalo. Inheriting a bad team in 2016, Marshall’s Blue Devils won just 6 games (6-23 overall) but showed much improvement last season, finishing 14-18 and increasing Northeast Conference wins from 4 to 7. Central Connecticut last made the NCAA tournament in 2007.